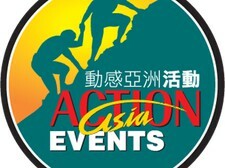 Established in 1996, Action Asia Events (AAE) has over 20 years’ experience delivering world-class trail running, skyrunning, ultra-marathon and adventure races. Each year, AAE delivers a number of UTMB qualifying races and for the past 4 years has hosted the Asian Skyrunning Championships. Managing 20+ major events in 8-12 different countries each year, AAE is one of the largest events company of its kind in Asia. AAE also hosts a number of corporate & charity fun runs, team-based adventure races and corporate training days. AAE is an official member of the International Skyrunning Federation (ISF) and International Trail Running Association (ITRA). AAE also has an official charity, Action Asia Foundation (AAF). AAF delivers donations and projects to under-privileged children & communities in Hong Kong, Nepal, Mongolia, Thailand and China.